I was never a fan of flamethrowers in videogames. I am not sure exactly where this started, but I have a pretty good idea: When I used to play Contra III: The Alien Wars with friends, I would do anything to avoid getting the “F” flamethrower for my gun. It was the worst. It had no range, it barely did any damage, and it was just an overall chore to use. In a game like Contra, having a weapon with a long range is almost a necessity! That’s why the spread gun is so great! Picking up the flamethrower in Contra III almost always resulted in certain death. 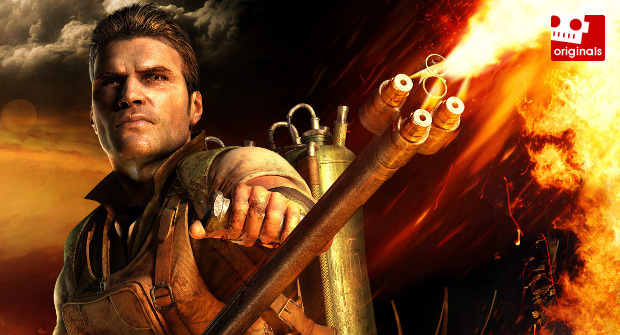 This hatred of the videogame flamethrower moved on to many more games in the future. 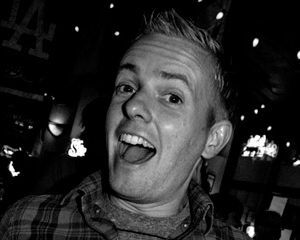 Games like StarCraft and even Ratchet & Clank introduced other similar forms of the flamethrower ... and I reacted to them all the same. I didn’t like equipping them. At all. But, recently, I have discovered something surprising about videogame flamethrowers. I kind of love them now. Let’s start with the earlier years. Or, as I like to call them, the days I despised the videogame flamethrower. Dramatic, I know. While not actual flamethrowers, there were many games on the NES that had flame-based weapons that behaved much like the modern flamethrowers of today. In Ghosts ‘n Goblins there was the fireball weapon. In Castlevania there was the holy water. In the original Contra there was the dreaded fire-gun power-up. All of these weapons had one major thing in common: They were terrible. Well, more specifically, they were either short range, slow, or, even worse, both. This seemed to be a theme with all fire-based weapons leading up to the introduction of the actual videogame flamethrowers. They all focused on the burning part of the weapon, and not on the things that could potentially make them useful in a fast-paced action game: mainly range and speed. Yeah, if you happened to catch an enemy in the perfect position, a fire-based weapon was great. 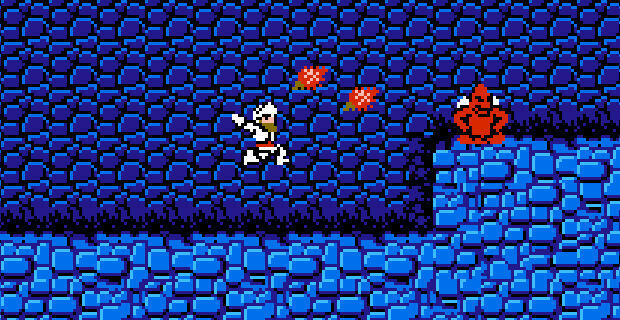 Should a flying devil be right in front of you and not moving in Ghosts ‘n Goblins, sure, the fireball would work wonders. It not only would hit them directly, but the burning fire left behind would deal even more damage. But that never happened! EVER! This same concept applied to almost all the games I used to play with flamethrowers. 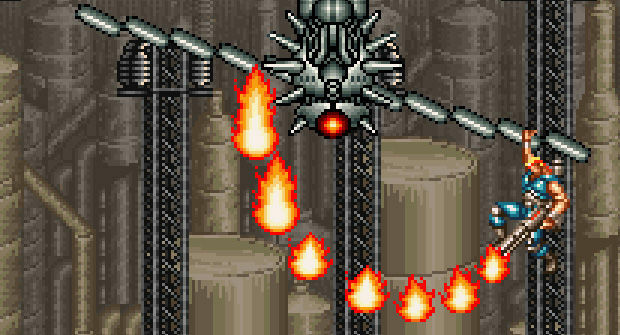 In Contra III, if my friend had the spread gun while I had the flamethrower, they would be leaping around the screen killing everything, while I would be struggling to even stay alive. The fire, while cool-looking, would not reach far enough to do any significant damage to the enemies constantly filling the screen. The weapon did not mesh with the frenetic gameplay. After years and years of playing videogames, I was finished with flamethrowers. If there was one as an option in the game, I would avoid it like the plague. As cool as I thought the firebats in StarCraft were, I would never manage very many of them. I was more addicted to the far more effective marines and their long-ranged guns. Same goes for the fire flower in Super Smash Bros. or the various flamethrowers in the Ratchet & Clank games. Sure, Peach burning Pikachu in the face with a giant flame makes for a great screenshot, but I never liked the way the weapon handled. I like attacking my enemies from a distance if given the option. I don’t mind standing in front of them to do damage, but give me something that will knock my enemy back or feel more impactful. With a flamethrower, you have to use the “burn and run technique.” Basically, burn them with a few sprays of fire, let the flames do damage while you run away and avoid retaliation, and repeat until the enemy is dead. This is not my preferred fighting method. But then something funny happened. As I started playing more and more games, the flamethrower started to feel more effective. Eventually, I started to love it. Now, I even make a point of using the weapon as much as possible! I think this dramatic change occurred when I played games that used the flamethrower in the best way possible. Not just as a random weapon selection, but as part of the strategic gameplay. 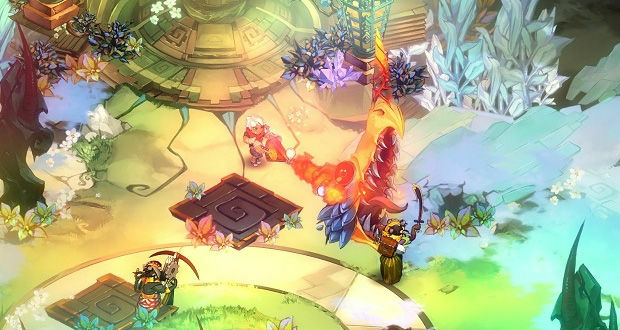 A very recent example is stellar XBLA game Bastion. In that game, the flamethrower handles like it does in most games. It doesn’t have a long range, drains power when used, and requires the main playable character to be very close to the target to hit them. What Bastion does differently is implement some actual benefits for using this very specific weapon. Breakable objects are all over the world of Bastion -- breakable objects with tons of loot hidden inside -- and breaking them can take some time. With the flamethrower, everything can be destroyed much quicker and easier with a giant wave of flames. Because of this, I started to love using the flamethrower in the game. 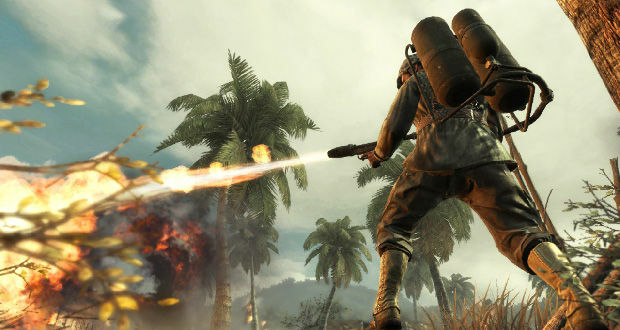 True, it can be argued that the flamethrower has always had specific uses in every game it is featured in, but I don’t think that is always the case. This may be accurate for certain games -- I think the firebat balance in StarCraft is genius, but it is just not my preferred unit -- but in most games, I think the flamethrower is added because the designers thought it would add more variety and, frankly, just be really cool to look at. How else to explain why a short range flamethrower is featured in a chaotic action game like Contra. It makes no sense! That’s why I never liked the flamethrower. It just never had a practical use in the games I played. But, lately, that has changed. Outside of Bastion, there have been many other videogame flamethrowers that I love. While hard to get excited about due to the dark subject matter, I respected and enjoyed the flamethrower levels in Call of Duty: Black Ops. The weapon felt like part of the story when used and really helped up the tension and realism of the awful, heart-wrenching scenarios. 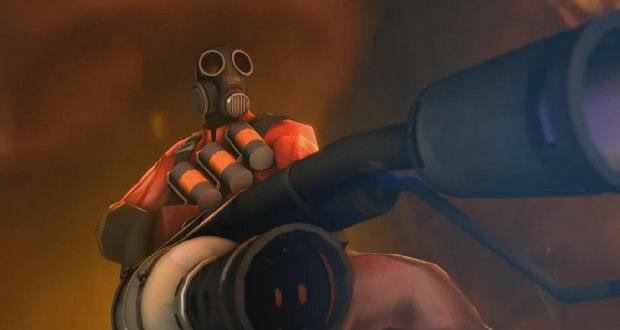 Games like Singularity, Scribblenauts, Conker’s Bad Fur Day, and Team Fortress 2 have also used flamethrowers in clever, much more user-friendly ways. Heck, even though it was wielded by a boss, I even loved the badass flamethrower in Metal Gear Solid 3: Snake Eater. But now I have come around. I love the videogame flamethrower and genuinely get excited when it makes a surprise appearance in games. Swinging a giant wall of flames back and forth may not be the most effective way to get the job done, but, man, if it isn’t the most satisfying. What do you think? Do you have a similar relationship with the videogame flamethrower? Are there any other videogame weapons that you were once cold on, but have since come around? Or are there certain videogame weapons that you hate and will always hate?